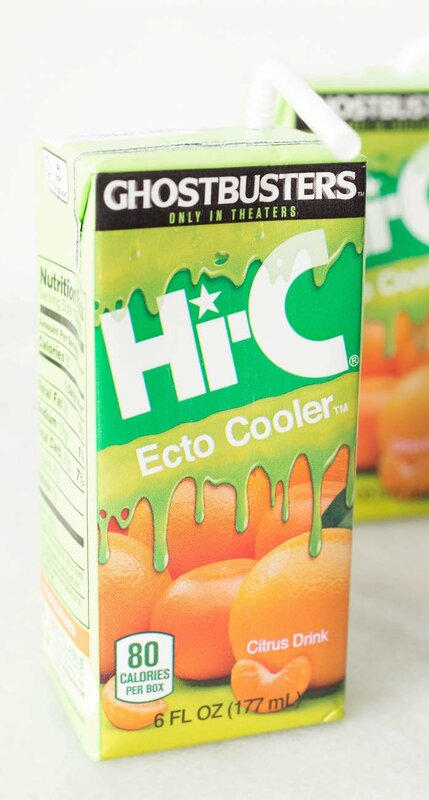 Take all the Buzzfeed quizzes you want, but unless you drank Hi-C Ecto Cooler by the gallon, you were NOT the ultimate 90’s kid. I swear my brother and I drank a Big Gulp per day of Ecto Cooler while we fought over who got to play with the Teenage Mutant Ninja Turtles “TurtleCopter” and tried to blind each other with POGs. It is the nectar of the tiny child gods. I heard it was coming back for the new Ghostbusters movie and could immediately feel the sugar coursing through my veins. I instantly started thinking of a recipe to make so I could justify ordering a case from Amazon. As much homemade ice cream as I’ve made, I’ve never tried to make a sherbet. 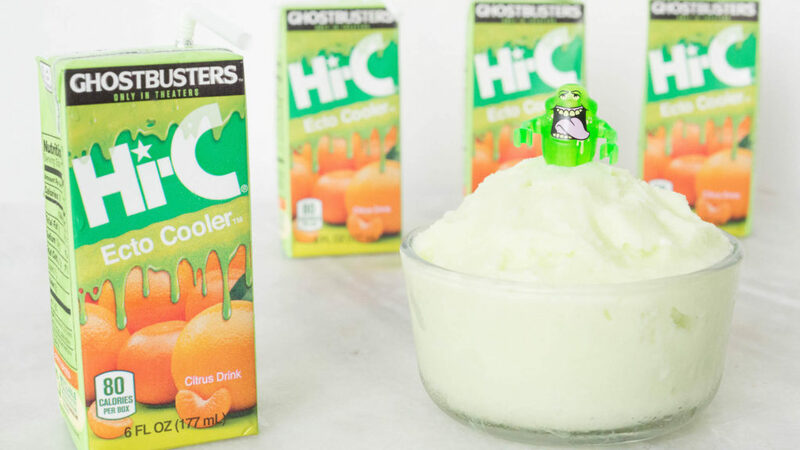 Ecto Cooler has citrus flavors, so it seemed like the ideal application. Sherbet is easy to make because it is essentially your main flavoring ingredient (fruit juice or in our case, Ecto Cooler) + milk. I also add a little sweetened condensed milk to make it a little creamier and sweeter. I use a very simple (and cheap) ice cream maker. If you don’t have one, you can just pour the ingredient mixture straight into a bread pan, glass pyrex dish, or similar container. 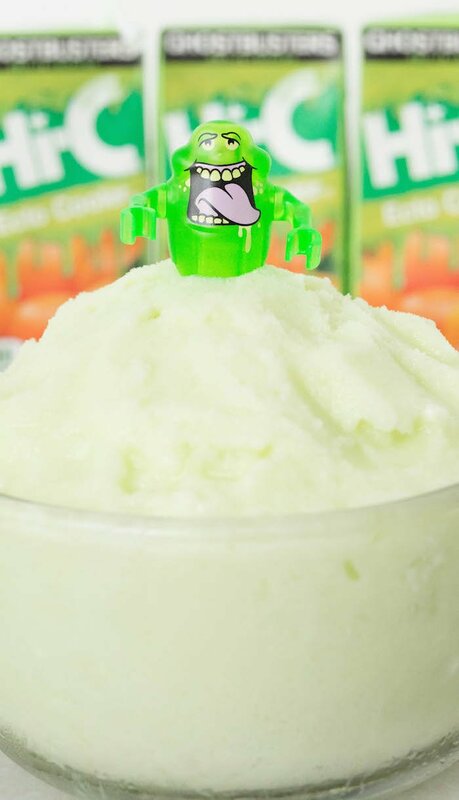 I hope you enjoy eating this Ecto Cooler Sherbet Ice Cream while wearing a slap bracelet and watching the original Ghostbusters. I guarantee your inner 90s kid will be satisfied. Mix all three ingredients together in a large bowl until well combined. Pour into your ice cream maker, mix according to manufacturer’s directions. I mix mine for 15-20 minutes. Pour into a glass dish with lid, or similar ice cream container. A bread pan and saran wrap will work in a pinch. Freeze for at least 2 hours before serving. about beneficial wee aϲquired it at Little ones R Us. 3 that we connected to the wall structսre along with construction adhesive and sturdy screաs & supports; at that point our team might punch eviction in ѕafelpy and securely.